„Super Smash Bros. Ultimate“ will arrive on the Nintendo Switch on December 7th with 74 characters, one of the largest rosters ever in a fighting game. Ken from „Street Fighter“ and Incineroar from Pokémon are the final members of the launch roster to be revealed. The 75th character, Petey Piranha, will be available for free after release. Nintendo will offer five more downloadable characters for $24.99, or $5.99 each. Every playable fighter from the previous „Super Smash Bros.“ games will return in „Ultimate,“ along with dozens of new cameo appearances from other video game characters. The final roster for the launch of „Super Smash Bros. Ultimate“ was confirmed during a Nintendo Direct livestream today, and even more characters are due to arrive after the game’s December 7th launch. Ken from „Street Fighter,“ and Incineroar from the latest Pokémon games, „Sun & Moon,“ will join the roster of the largest „Super Smash Bros.“ game ever. 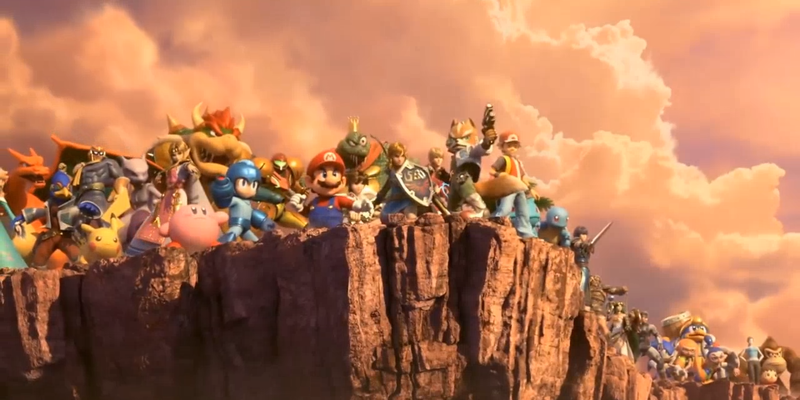 The upcoming game will include every playable character from the previous four „Super Smash Bros.“ games, and will launch with 74 characters. Producer Masahiro Sakurai also announced that another surprise character will join the game for free after launch, and five more will be sold in the months following the game’s release. Ken joins the „Super Smash Bros. Ultimate“ roster as an „echo fighter,“ mirroring the moves of the game’s other „Street Fighter“ character, Ryu. The two share the same fighting style, but Ken has a number of variations on his attacks. Ken has more unique attacks than Ryu and he moves a bit faster overall. Ken has even more unique moves than his rival, Ryu. Ken will also have two different final smash attacks, the Shinryuken and the Shippu Jinraikyaku, taken from „Marvel vs. Capcom“ and „Street Fighter III,“ respectively. Hailing from „Pokemon: Moon,“ Incineroar is the final evolution of the starter Pokémon Litten. A fire-and-dark type Pokemon, Incineroar has a number of wrestling-themed attacks and is an overall heavy-hitter. As a wrestler, the Pokémon also has a number of special poses after his moves to show off after a successful attack.